4. 25 min “The Prepuce” by Doctors Opposing Circumcision. A film for medical students on the importance and function of the male foreskin. and be sure to include your mailing address. 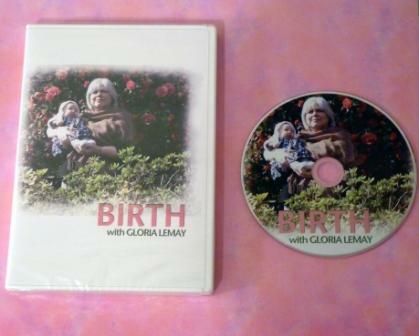 This entry was posted in DVD for sale, Homebirth, Videos by Gloria. Bookmark the permalink. So I make a paypal payment or should I get in contact with someone here who has a stockpile of them? I would also like one. Am located in Sydney, Australia. It seems there are a few of us here wanting it. Is it possible Gloria that you can have someone here onsell or distribute it for you, that way you are sending a box load and not just individual dvds? I’ll send about 10 copies to Janet Fraser at Joyous Birth so you can pick up in Sydney from her. Is that ok? Yes that would be fine. Or I can organise Janet to on post it to me? Global Priority is trackable and insured (I believe) and is about $10 for a DVD in one of the small packets, and will get to Australia in 10 days or so. Air Mail (padded envelope) is generally a bit less than that, and will get here in 2-3 weeks, in my experience. Do not send anything via surface mail to Australia, you will never get it and it’s not trackable or insured. I’m loving your classes and have renewed my passion for home births. Was hoping to take advantage of your offer but can’t find the link for payment. Any thoughts? Would you give a discount for multiples? I’m thinking of pooling together with some of my doula friends as I, and I think they, can’t afford nearly $40 for one DVD. If yes, how many would we need to buy and how much would it cost? I watched your dvd yesterday, Gloria. I loved seeing births which were as individual as the women themselves, were women were held and supported by whoever they chose, where babies went in their mothers’ arms. I loved hearing the different sounds and seeing the responses of attending siblings who were almost overcome with excitement a…nd joy. My children loved it too and my daughter has already asked if she can watch it again this morning. Every time women see other women birthing without instruments and bright lights, it awakens our own bodily memories and reminds us that we can birth beautifully, however that is for us! Great to see the circ info on there too although I’m fortunate to be in a community where it never happens. Just wondering if you got my payment for the DVD and how long shipping to the US takes. I am in Vermont. Got it today! Thank you. Hi Gloria, I’m in Brisbane and could organise a pick-up from Sunshine coast if we had the contact for the distributor? Hi Gloria, can u let me know is your did in a format which will play in the UK? If so I would love to order a dvd or even take a supply for distribution – I am an independent midwife here in the UK. Just ordered my copy!! Thanks for being such an inspiration Gloria!! congratulations, Carol! Your dvd has been sent. Thanks for doing business with me. hi gloria, i ordered this video on the 18th of march and it still hasnt arrived yet, i just wanted to check in to be sure you’d gotten my payment and to find out when you’d be sending it off? Watched this last night with some girlfriends who came over for dinner… a night of cooking and chatting about birth. Slowly converting my friends to women who understand the importance of the birth experience and staying out of the hospital. Thanks for this! I can’t wait to order! Can any US folks share the US dollars due? Thanks!